The InduProof® Smart Classic has a full set of keys with a numeric keypad and is a convincing product thanks to its pleasant sense of touch and the very high degree of protection that it provides. The keyboard best-seller is ideal for use in almost any hygiene-sensitive area. It is possible to completely clean and disinfect the TKG-106. It has a long serviceable life as a result of its high-quality workmanship – after all it is “Made in Germany”. 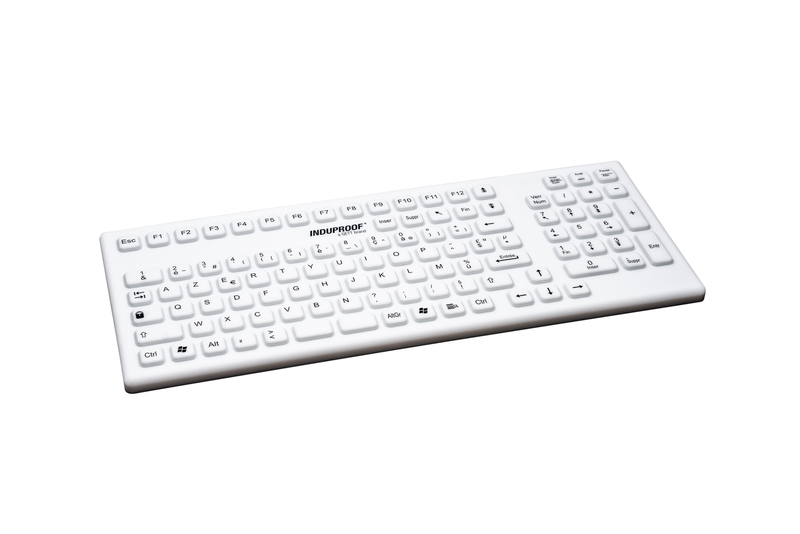 The keyboard TKG-106-IP68-WHITE-USB-DE (Art. No. KG19268) has a complete sealed silicone coating and therefore offers the best conditions for a good cleaning or disinfection. The keyboard of the InduProof® family has been tested for disinfectability by an independent test laboratory, with the result of good to very good disinfectability. It is recommended to use alcohol-based disinfectants. Due to the waterproof design, the keyboard can be completely immersed in cleaning or disinfecting agents. Disinfection can also be done by simply spraying the surface. 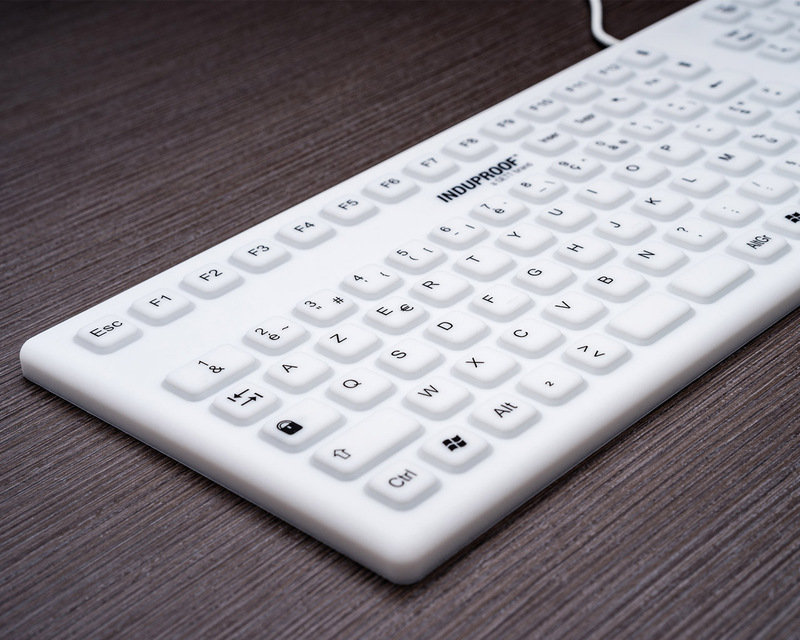 The keyboard is therefore ideally suited for use in hygienically sensitive areas (e.g. medicine, pharmaceutical and food production). The InduProof®Smart Classic complies with the latest EMC guidelines of EN 60601-1-2 Edition 4. If you are interested, you can obtain the corresponding EMC protocol by request via our Channel Managers. Flat key caps provide a good tactile feel and are easy to clean.